HOW TO HELP YOUR NERVOUS DOG? First try to answer these 2 questions: What is your nervous dog afraid of? And how much can he tolerate? 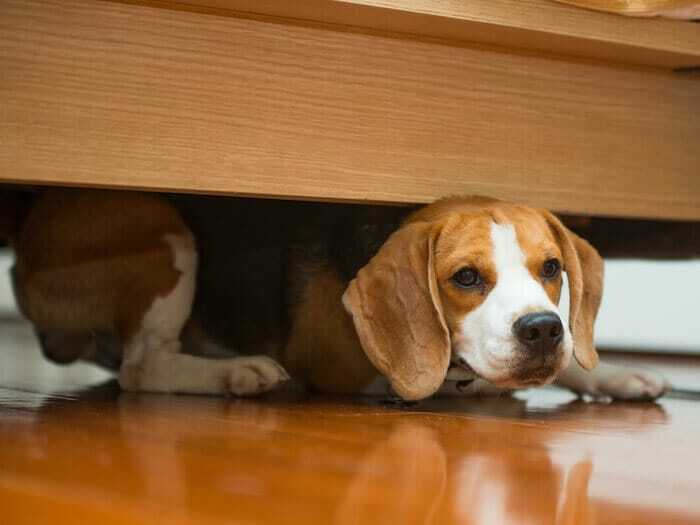 Nervous dogs may shake, try to hide or run away, but can also bark and sometimes even bite. When your dog is scared, the best thing you can do to make the fear go away is to physically get away from the source of fear. Stay calm and take your dog away, to a place where he can feel safe. 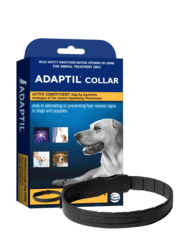 Then you can start to help your nervous dog overcome his fear, with mild and gradual exposure. Try to recreate the situation, but in a controlled manner: introduce your dog to the source of fear from a distance, as you calm and praise him. 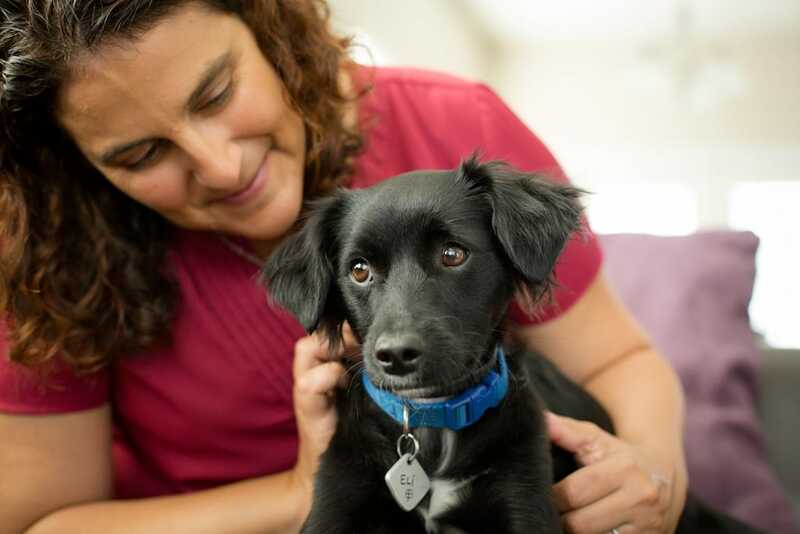 Use treats to reward your dog when he calms down. Remember that your dog will also react to your emotions, so you must remain relaxed and speak with an assured voice. Repeat, and come a little bit closer every time. Go slowly, and allow your dog time to adjust. 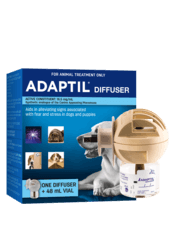 Using ADAPTIL Diffuser or ADAPTIL Collar during the whole process will help your dog feel more confident and relaxed.